It feels old-fashioned, antiquated, and absolutely old school to say this, but beginning players should learn to play fixed-limit hold’em. 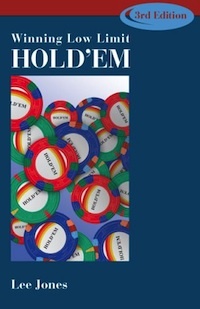 And I know just the book to help them do so — Lee Jones’s classic, Winning Low Limit Hold’em (published by ConJelCo and available in print book or Kindle format wherever you buy books). I’ll delve into the book’s content below, but I feel compelled to defend the thrust of that opening paragraph. In a world seemingly dominated by no-limit games, why would the amateur devote precious time to learning the less dramatic game of limit hold’em? All of these notions are true to my own experience. No-limit rewards the patient player and the aggressive player, and so does limit. But you’ll play more hands and get more post-flop experience playing fixed-limit than no-limit. This is just one of a few reasons why I can think of no better introduction to poker for beginning players than limit hold’em. I can already sense the disbelief on the part of some, but my goal is not to convince you of anything except this: If do decide to delve into the limit game, you should start by reading Lee Jones’s excellent book. 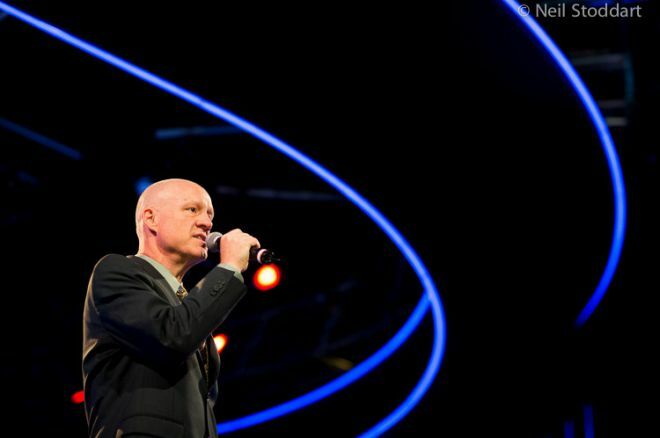 Jones, as many will know, is currently the Head of Poker Communications at PokerStars. His poker experience goes back a long way, and in fact he wrote the first edition of this book way back in 1994, when the internet was still in diapers and online poker was not even in utero. The book was updated in 2000, then again in 2005, with Jones adding some new wrinkles in terms of limit hold’em strategy and a new section on sit-and-gos. Jones starts with fundamentals — and they are very fundamental, probably too much so for most Learn.PokerNews readers, but useful for your friends who want to get into the game. But he quickly gets into basic strategy, from the importance of tightness in terms of starting hands to the even more important element of position. “The more I learn about Hold’em, the more I care about position” he says. He writes extensively about post-flop play, which in LHE can present lots of interesting decisions whereas in shallow NLHE games people tend to get the chips in the middle preflop. Jones spends time analyzing all kinds of common situations on multiple streets, adding quizzes — challenging ones! — to help you test your mastery of the material. Bluffing plays very little role in low limit hold’em, although the semi-bluff is a critical tactic for winning players. People don’t fold, and, as Jones points out, they often are getting the odds to call in limit hold’em. This is one of the elements that frustrates every player. You’ll hear players complain: “They call with anything, every time!” “You can’t protect your hand in limit.” All essentially true — but that also means the game has to be profitable in the long run. And it’s easier, I think, for players to survive long enough to benefit from the “long run” in limit hold’em. A few bad weeks at no-limit can seriously dent your bankroll, but limit is at least a bit more forgiving. And the game is undeniably fun, both in terms of putting strategy into play and for pure sociability. Most low-stakes LHE players are there to enjoy themselves — you’ll find fewer pairs of sunglasses, fewer death-ray stares, and fewer tanks. Finally, limit hold’em can be profitable for the simple reason that recreational players make up the majority of those who play it. You might think that many if not most poker players would have mastered the fundamentals described in this book — but you would be wrong. And by reading this book (and executing its strategies), you’ll have an edge when you play low limit hold’em.